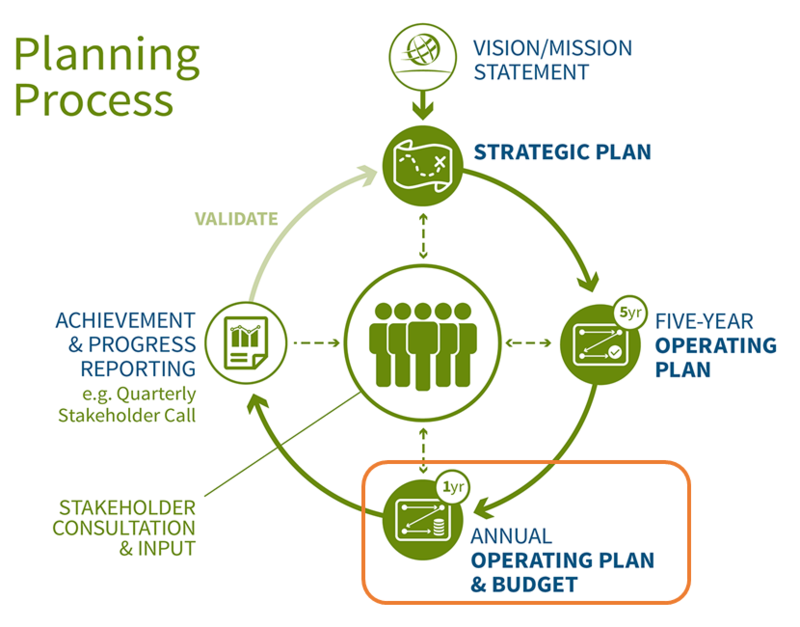 The annual Operating Plan & Budget is derived from the Five-Year Operating Plan and Strategic Plan, which are part of ICANN's Planning Process. The annual Operating Plan & Budget sets forth the focus of efforts and organizational commitments for the current fiscal year. Consistent with our multi-stakeholder model, the Operating Plan & Budget is the result of input from ICANN constituency groups, stakeholders, Board of Directors and ICANN staff. The FY16 annual Operating Plan & Budget is presented to the Board for approval during the last meeting of ICANN's fiscal year. This year it will occur in June 2015 at the ICANN 53 Meeting in Buenos Aires, Argentina.